I got a call today from the new RE I am going to start seeing after the study concludes (which is in less than two weeks. Oy.). The administrator at the practice said that she’d been in touch with my insurance and wanted to go over with me what they’d cover. 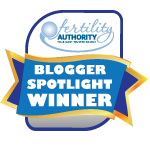 Turns out, not only will they cover one complete IUI cycle including all of the monitoring and labs, but they will completely cover any and all diagnostics and treatments necessary to determine the cause of the infertility. This would include, if necessary, laparoscopy and surgery to remove adhesions should they find that to be an issue. So that’s good news! Maybe my “unexplained” infertility will finally be explained! And maybe with that explanation will come a resolution! And by resolution, I mean a baby. Obviously. So anyway, I’m stuck at home today with an acute sinus infection and worrying about all the work I’m not able to accomplish right now, but at least I have a glimmer of hope. And… maybe there’s even hope that I won’t have to use the benefits at all. I guess we’ll all know in about ten days. That is excellent news!! Hopefully you won’t need the benefits, but if you do hopefully your infertility will finally be explained. This unexplained business is a bunch of BS! I’ll keep my fingers crossed for you in the coming weeks. I think we are 2ww buddies this round (I’m 4dpo). I agree with the BS assessment. Seriously. “Unexplained Infertility”? More like “We Don’t Know What’s Wrong With You, And Here’s A Piece Of Paper That Says So” Infertility. Awesome! All of that stuff is SO EXPENSIVE – having more of it covered is just fantastic news. Good luck! The “resolution” will come, eventually! !